FUN CHOREOGRAPHY: Within five minutes of the play, Snoopy has already done enough flips and tricks to amaze anyone! The entire cast even performs near spot-on renditions of the chaotic dance scenes from the original television special. Kids jump and dance in their seat just watching. SEAMLESS SET CHANGES: With the stage framed by the live music of Schroeder on piano, Shermy on upright bass, and Pigpen on drums, you get a great experience of hearing Vince Guaraldi’s classic tunes live. Behind the band, you’ll go from Snoopy’s decorated doghouse to the skating rink, to Christmas tree shopping with ease! The stage crew switches the set quickly and seamlessly. There’s a brief intermission where parents and children can recharge with wine or snacks. A MUSICAL CABARET: One may be wondering how a 30-minute television special gets turned into an hour and a half of musical theater. I won’t spoil too much for you, but the Christmas play does go on—with all of your favorite Christmas songs! 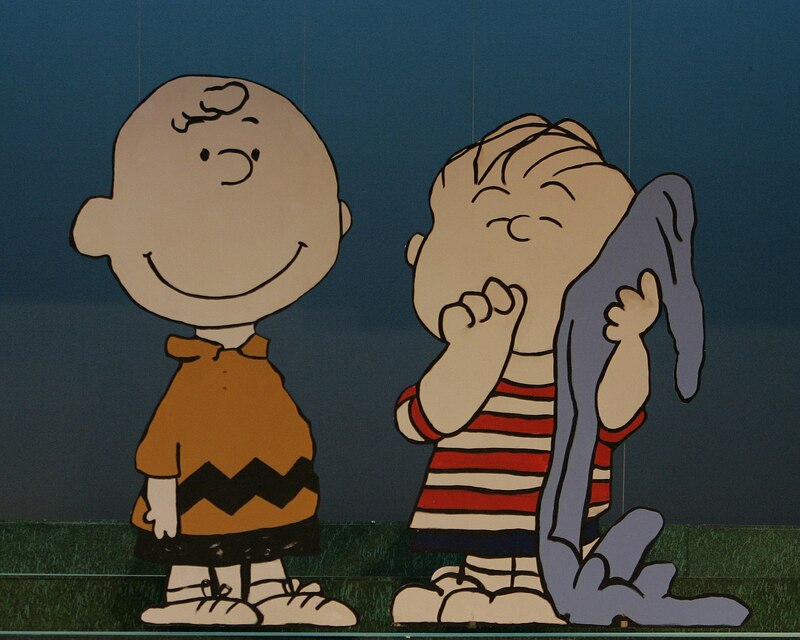 Charlie Brown encourages the audience to sing along as actors perform acapella, with bells, adding guitar and more. SNOOPY: Playing a dog on stage can be a challenge for any actor. Dancer, actor, and singer Yochai Greenfield plays Snoopy with energy and plenty of jumping! His moves are some of the best this side of the Charles River. Kids will throw their Snoopy dogs in the air with delight as Greenfield jumps around the stage. 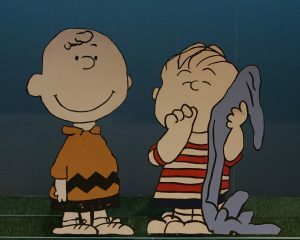 YOU NEED THIS PLAY LIKE CHARLIE BROWN NEEDS A CHRISTMAS TREE FOR THE SCHOOL PLAY: What better way to get in the Christmas spirit than caroling, dancing, and acting out one of the classic Christmas films? The joy from the actors is guaranteed to be contagious for you and your family. This production is entertaining for kids, but provided a lot of impressive choreography and live music to make it worthwhile for adult fans of the story.